Old friends and new came through to sip, chat and boogie. This experiment just might work. As promised, every week I’ll recap a few highlights. Hopefully this will become a running conversation. What records do YOU remember and want to know more about? As much as I like to smash off a party, I also enjoy just sharing tunes with a room full of folks socializing and appreciating the sounds. 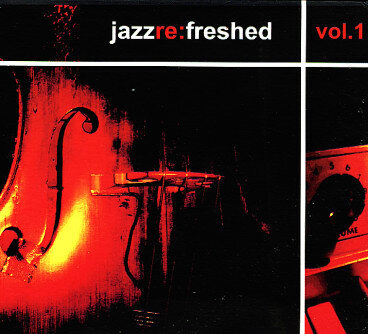 Early in the night I dropped one of my favorite tracks from the Jazz Refreshed compilation, Femi Temowo’s “Wood & Strings”. Click the album cover to listen to the project in its entirety. I ended the night with this one, and for those who haven’t heard it in my sets and mixes since this summer, it was an instant earworm. Toronto’s got some freshly ground goodness brewing these days. Been seeing Slakah the Beatchild in album credits, on blogs and in music press for a minute. Sometimes you just want the ladies to get really happy and sing along really loud. We DJs enjoy that. Forgot about this one, didn’t ya? Still goes hooard in the clurb. Word to Madge. See you next week, right? Of course! i *knew* i should have been taking notes…! there are a few cuts that had us quizzing one another. was that really stephanie mills’ voice, or a great cover? Whomever Thelma Gyton is, she can do one hell of a Stephanie Mills impression. And Lord Finesse threw a monster beat at her. If you weren’t up on your obscure vinyl releases in 2006, you totally missed that gem. That’s what I’m here for. The Brownstone joint cranked. I am spoiled rotten because of you and I love it. This is just the beginning boobie. 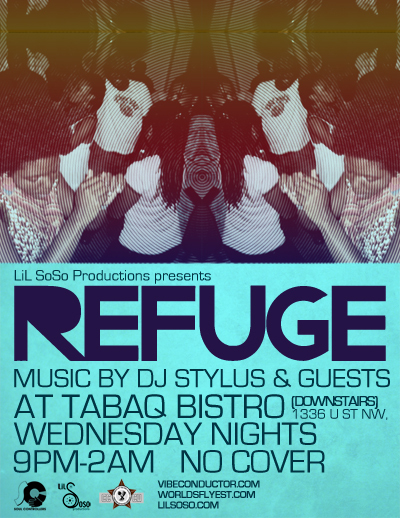 We will grow this thing together and before you know it, “Refuge” will be the place to be for those looking for good music and vibes, lacking in pretension. Yay us! Haha. I *knew* it! Hear that, @Jahsonic? My ear has never failed me. 2006 was the year I went on hiatus from obscure vinyl. Thank you, DJ Stylus!